What is the PRO Line Planting Gear? Simply stated: Tools and Equipment designed and selected as the Top-of-the-Line planting tools and gear for PROfessionals. Contractors, Foremen, and Laborers alike agree--these are the BEST on the market! 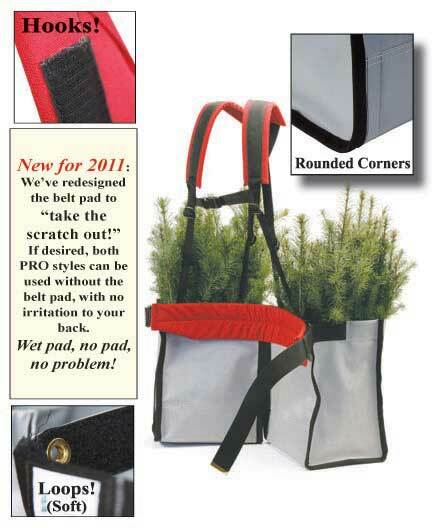 When we build tree planting bags, we want them to outlast any others. 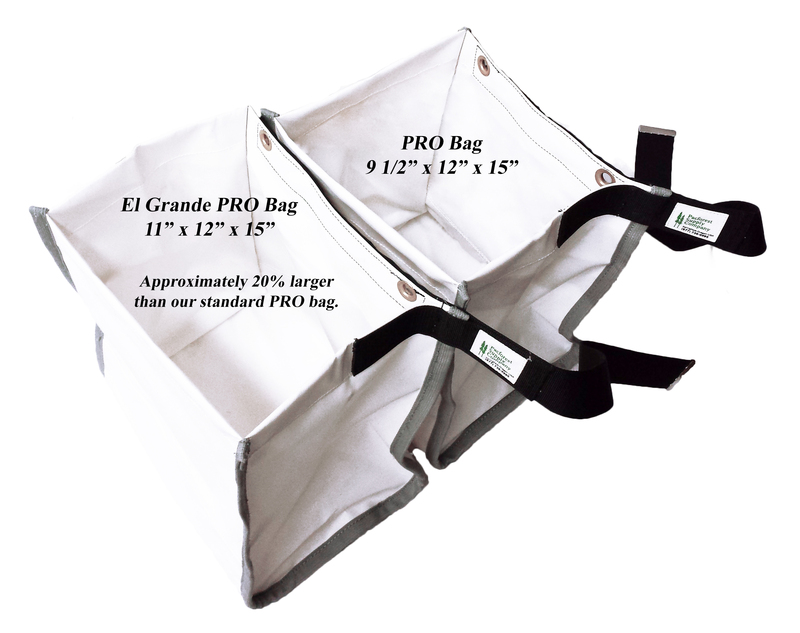 Our heavy-duty bags are constructed with 28 oz. tear and abrasion resistant vinyl. 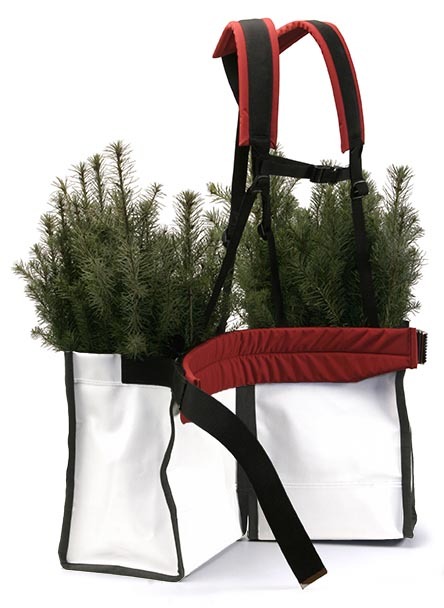 Our double stitching ensures that the bags will hold moisture, and all of our tree planting bags have double bottoms. To make the bags even more comfortable we've gone to rounded corners so there are no edges to rub on the planter's legs. NOW made with WHITE vinyl -- a big plus when planting on sunny days. 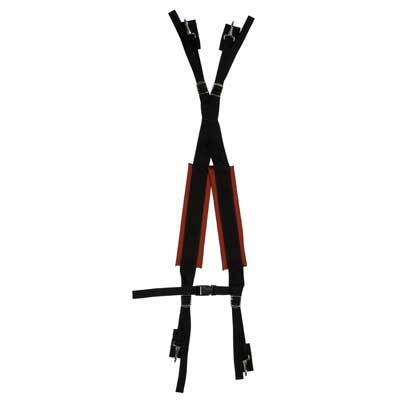 IMPROVED belt pad and harness made with denser foam for more cushion against the body. 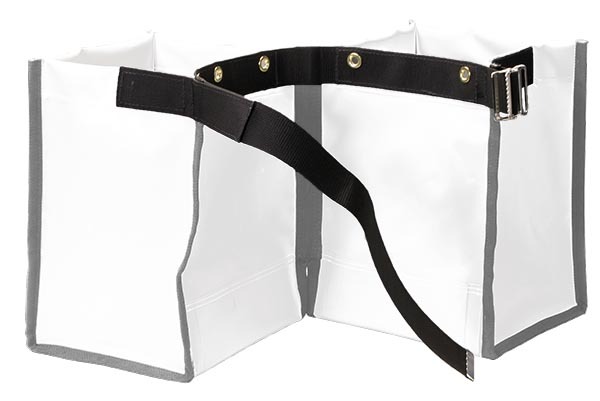 OPTIONAL 18oz "Fly-Weight" vinyl bag with same quality features.